Not all conflicts between religion and the state are easy to resolve. But in the Netherlands, Israel and the United States, the appeal to religious freedom is being misused. What are the proper limits of religious freedom? Marianne Thieme, leader of the Party for the Animals in the Netherlands, offers this answer: "Religious freedom stops where human or animal suffering begins." The Party for the Animals, the only animal-rights party to be represented in a national parliament, has proposed a law requiring that all animals be stunned before slaughter. The proposal has united Islamic and Jewish leaders in defence of what they see as a threat to their religious freedom, because their religious doctrines prohibit eating meat from animals that are not conscious when killed. The Dutch parliament has given the leaders a year to prove that their religions' prescribed methods of slaughter cause no more pain than slaughter with prior stunning. If they cannot do so, the requirement to stun before slaughtering will be implemented. Meanwhile, in the United States, Catholic bishops have claimed that President Barack Obama is violating their religious freedom by requiring all big employers, including Catholic hospitals and universities, to offer their employees health insurance that covers contraception. 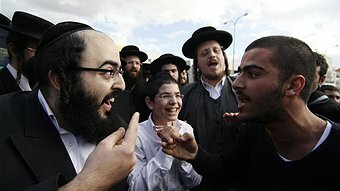 And, in Israel, the ultra-orthodox, who interpret Jewish law as prohibiting men from touching women to whom they are not related or married, want separate seating for men and women on buses, and to halt the government's plan to end exemption from military service for full-time religious students (63,000 in 2010). When people are prohibited from practicing their religion - for example, by laws that bar worshiping in certain ways - there can be no doubt that their freedom of religion has been violated. Religious persecution was common in previous centuries, and still occurs in some countries today. But prohibiting the ritual slaughter of animals does not stop Jews or Muslims from practicing their religion. During the debate on the Party for the Animals' proposal, Rabbi Binyomin Jacobs, Chief Rabbi of the Netherlands, told members of parliament: "If we no longer have people who can do ritual slaughter in the Netherlands, we will stop eating meat." And that, of course, is what one should do, if one adheres to a religion that requires animals to be slaughtered in a manner less humane than can be achieved by modern techniques. Neither Islam nor Judaism upholds a requirement to eat meat. And I am not calling upon Jews and Muslims to do any more than I have chosen to do myself, for ethical reasons, for more than forty years. Restricting the legitimate defence of religious freedom to rejecting proposals that stop people from practicing their religion makes it possible to resolve many other disputes in which it is claimed that freedom of religion is at stake. For example, allowing men and women to sit in any part of a bus does not violate orthodox Jews' religious freedom, because Jewish law does not command that one use public transport. It's just a convenience that one can do without - and orthodox Jews can hardly believe that the laws to which they adhere were intended to make life maximally convenient. Of course, the Catholic Church would be understandably reluctant to give up its extensive networks of hospitals and universities. My guess is that, before doing so, they would come to see the provision of health-insurance coverage for contraception as compatible with their religious teachings. But, if the Church made the opposite decision, and handed over its hospitals and universities to bodies that were willing to provide the coverage, Catholics would still be free to worship and follow their religion's teachings. Religious exemption from military service can be more difficult to resolve, because some religions teach pacifism. That problem is usually resolved by providing alternative service that is no less arduous than military service (so that such religions do not attract adherents for that reason alone), but that does not involve fighting or killing. Judaism, however, is not pacifist, so, once again, there is no real issue of religious freedom at stake. 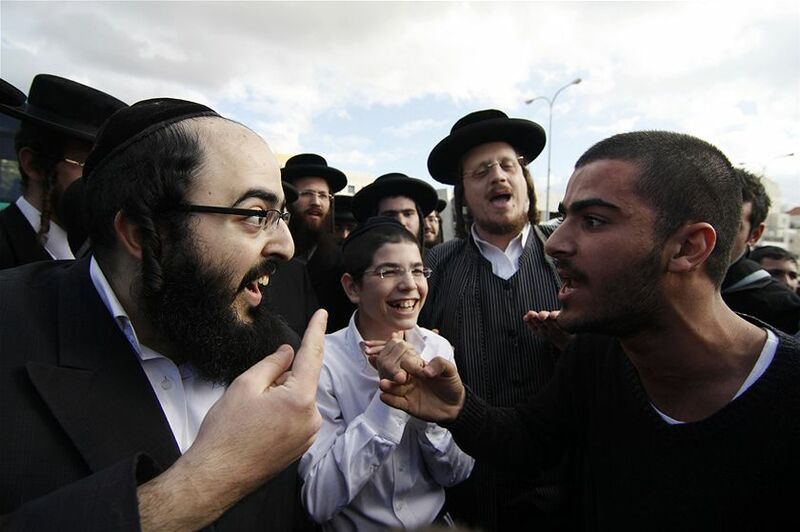 The ultra-orthodox want exemption for those who spend their time studying the Torah on the grounds that Torah study is as important as military service to Israel's well-being. Providing the option of non-combatant national service thus will not resolve this dispute, unless it consists of Torah study. But there is no reason why Israel's secular majority should share the belief that having tens of thousands of ultra-orthodox scholars studying the Torah provides any benefit at all to the nation, and it is certainly not as arduous as military service. Not all conflicts between religion and the state are easy to resolve. But the fact that these three issues, all currently causing controversy in their respective countries, are not really about the freedom to practice one's religion, suggests that the appeal to religious freedom is being misused. Peter Singer is professor of bioethics at Princeton University and Laureate Professor at the University of Melbourne. His books include Animal Liberation, Practical Ethics and The Life You Can Save. Iranian protests repeatedly come down to one thing: the accountability of the regime to its people. But Ayatollah Khamenei has buttered his bread on the other side. His power depends on the continued stranglehold of the security state, which he has also made the country's economic centre of gravity. So long as this is true, he can't or won't address the root cause of Iran's chronic unrest. Black intellectual infighting is hardly a new thing ... But social media encourages its rapid devolution, as many 'followers' would rather tweet and retweet than actually read the subject of the latest Twitterstorm ... There is a growing reluctance to read and engage arguments carefully, especially those with which we disagree. Besides, social media always loves a fight; the more personal and vitriolic, the more spectators. Turnbull, as prime minister, has chosen to lie about his prior knowledge of the proposal for an Indigenous voice, and indeed his endorsement of it as sensible more than two years before he rejected it ... Turnbull supported the Indigenous voice to parliament when he was not prime minister, but then ended up calling it a "third chamber of parliament" when he was, knowing full well that was a gross untruth. For Jews, holiness lies not in the way that the world currently is, but in the way that it ought to be. Poverty, disease, famine, injustice and the exploitation of the powerless by the powerful are not the will of God. They may be part of human nature, but we have the power to rise above them. God wants us not to accept - but to heal, to cure and prevent. Parenting teenagers can be tricky at the best of times. But when the tough issues arise parents can often struggle. on Twitter for the latest ABC Religion & Ethics updates. Receive updates from the ABC Religion & Ethics website. To subscribe, type your email address into the field below and click 'Subscribe'. This site is where you will find ABC stories, interviews and videos on the subject of Religion &amp; Ethics. As you browse through the site, the links you follow will take you to stories as they appeared in their original context, whether from ABC News, a TV program or a radio interview. Please enjoy.